Celebrating the best in local & national folk music, Paper Shoes Music & The Foundry are proud to announce an exciting new monthly event, The Brisbane Folk Club. 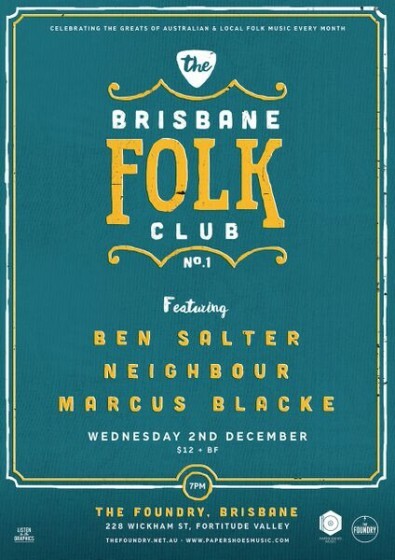 Set to fuel your folk desire as it hits the stage of The Foundry on the first Wednesday every month, The Brisbane Folk Club’s very first incarnation kicks off on December 2nd with local folk favourites Ben Salter, Neighbour, and Marcus Blacke. 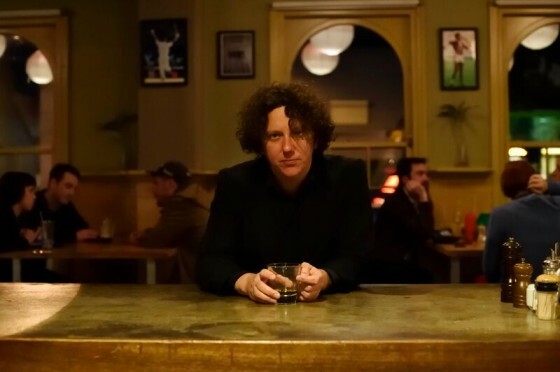 Fresh from a stellar performance at BIGSOUND comes headliner Ben Salter, a founding member of Giants of Science, The Gin Club and the twice-ARIA nominated Wilson Pickers. Salter’s new record ‘The Stars My Destination’ was released in May and has been making waves across the country. It scooped up a nomination for ‘Best Album’ in The Age Music Victoria Awards, was named Double J’s album of the week, and secured four-star reviews in Rolling Stone, The Courier Mail, and The Guardian – four and a half stars in The Age and The Weekend Australian. Also gracing the stage is Neighbour, the new project of Ryan Nebauer (Fushia). Nebauer is pioneering a change in his musical direction, steering away from the indie-rock sensibilities of his former band and into true folk singer-songwriter territory, revealing his more sensitive side in the process. 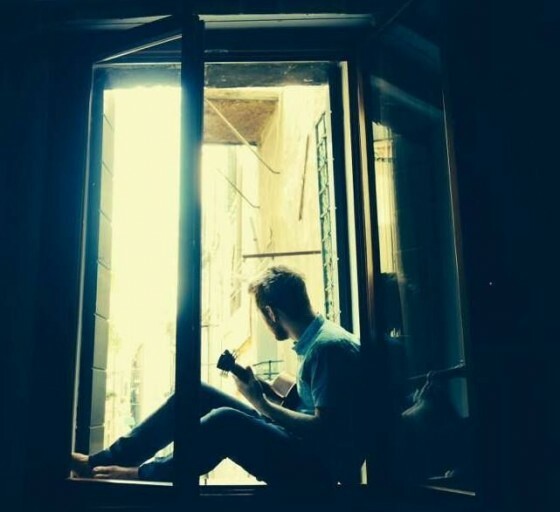 Neighbour has shared stages with the likes of Sahara Beck and British India, and has been shortlisted as a semi-finalist in the 2015 Telstra Road To Discovery. 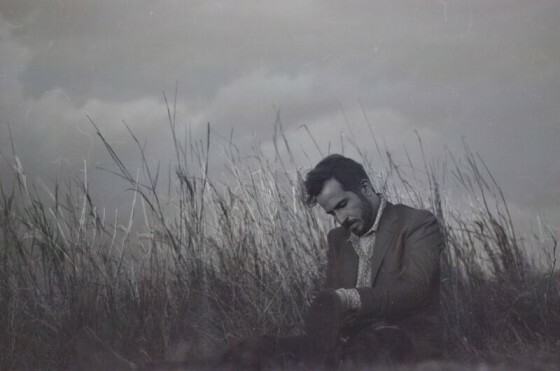 Gold Coast based singer-songwriter Marcus Blacke rounds out the night with his lyrically-driven songs that tap into the very nature of the human condition. Blacke is set to serenade the crowd with his southern-style folk guitar and raw, gritty vocals – this man undeniably has something to get off his chest.